These ideas–discussions of how to exploit the internet, specifically social media, to surreptitiously disseminate viewpoints friendly to western interests and spread false or damaging information about targets–appear repeatedly throughout the archive of materials provided by NSA whistleblower Edward Snowden. Documents prepared by NSA and its British counterpart GCHQ–and previously published by The Intercept as well as some by NBC News–detailed several of those programs, including a unit devoted in part to “discrediting” the agency’s enemies with false information spread online. The documents in the archive show that the British are particularly aggressive and eager in this regard, and formally shared their methods with their U.S. counterparts. One previously undisclosed top-secret document–prepared by GCHQ for the 2010 annual “SIGDEV” gathering of the “Five Eyes” surveillance alliance comprising the UK, Canada, New Zealand, Australia, and the U.S.–explicitly discusses ways to exploit Twitter, Facebook, YouTube, and other social media as secret platforms for propaganda. 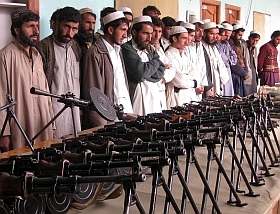 Taliban who surrendered with their weapons to the Pakistan army in August. PESHAWAR, Sep 11, 2011 (IPS) – The United States-led war-on terror, unleashed on Afghanistan in the wake of the 9/11 attacks, has utterly destabilised the neighbouring Pashtun-dominated tribal areas of Pakistan and reduced them to a state of utter lawlessness. For a start, the Federally Administered Tribal Areas (FATA) and the adjacent province of Khyber Paktunkhwa, of which Peshawar is capital, are now awash with small arms, with every household owning at least one of the iconic AK-47 rifles. “Weapons manufactured in the FATA or smuggled in from Afghanistan have flooded the entire country and resulted in endless bloodshed all the way to Karachi,” says Naveed Shinwari, chief of the Community Appraisal Motivation Programme (CAMP), which campaigns against small arms proliferation. Shinwari says the fact that every household in the FATA possesses firearms means that they are used to settle even petty issues, resulting in a large number of avoidable deaths and injuries. “The situation here before 9/11 was peaceful, but over the past five years 35,000 civilians and 3,000 soldiers have died with bombings, shootings and suicide attacks becoming the order of the day,” says Mian Iftikhar Husain, information minister in Khyber Pakhtunkhwa. As U.S. and NATO forces invaded Taliban-ruled Afghanistan in 2001, the leaders of the ‘Islamic scholars’ and the international Al-Qaeda fled over the border into Pakistan’s FATA and lost little time in extending their activities to adjacent Khyber Pakhtunkhwa. “About 200,000 of FATA’s eight million people live in camps due to the military operations there. Of the seven tribal agencies of FATA, military action is in progress in six, making the lives of the residents miserable,” Husain told IPS in an interview. Of the 52,000 students enrolled at the University of Peshawar, 10,000 are from FATA and who now find it unable to visit their native towns and villages. In a previous article, I said that the events shaking the Arab world today are as relevant as those that shook the world in 1989 . Not only can parallels be made on the extent and depth of discontent over a vast geographical area, but also because this whirlwind of popular fury places a question mark over a particular geopolitical architecture that was hitherto believed to be as strong as steel. In this case, these long-standing dictatorships were fed, promoted and installed by the geo-strategic interests of the USA (and its junior partner, the EU) in an area of critical concern as far as oil is concerned. In 1989 the political consequences of the demonstrations were deep and long-lasting – the fall of “real socialist” regimes not only meant the fall of a few unpleasant bureaucratic dictatorships, but because of the relative weakness of a truly libertarian and revolutionary Left, represented the fall of a set of political values and horizons that were incorrectly associated with the Soviet bloc, and the overwhelming rise of neo-liberalism as the unquestioned system in the economic, political, values and ideological field. It was the end of history, according to quite a few crusty apologists of the “New World Order”. But history did continue to be written, as was dramatically demonstrated by the anti-globalization protests in Seattle in 1999. 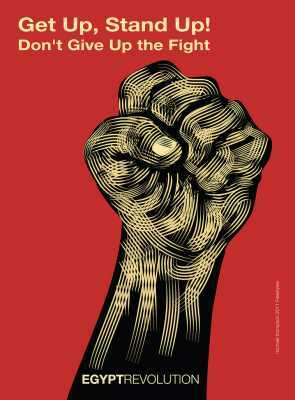 And if further demonstration was needed, there was the cycle of open struggles between 2000 and 2005 in South America, which challenged the foundations of the model, with the people, the oppressed and the exploited classes as the protagonists of history. A Pentagon document has come to light that confirms the U.S. has put special operations troops on the ground in Mexico as the drug war there continues to escalate, notching some 40,000 murders since late 2006. The document is a Department of Defense briefing presented in mid-May 2009 in Washington, D.C., to a group of business and political leaders from northwest Florida. The “Unclassified/For Official Use Only” briefing reveals the 18 Latin American nations where 7th Special Forces Group soldiers [Airborne Green Berets] were deployed as of fiscal year 2009, which ended Sept. 30, 2009. Among those nations, according to the briefing document, was Mexico. The document also indicates a 7th Special Forces unit was deployed in Mexico in 1996 as well, as part of a “counter-narcotics” mission. The revelations in the briefing material are important because, to date, neither the Pentagon nor the State Department has confirmed that U.S. special forces have been deployed inside Mexico — a politically volatile subject in that Latin American nation given the rising drug-war death toll there and the “Yankee” history of U.S. Gunboat Diplomacy in the region.